How to Grow Lots of Lettuce | eat. write. smile. One of the morning chores at Aroa is to harvest lettuce. Depending on the orders from restaurants and gourmet markets, we will harvest boxes and boxes of lettuces, escarole, baby chard leaves and arugula. We work as quickly as possible so the leaves are crisp and fresh in the cool air of early morning. By 10 am, we’ve finished the harvest and we’ll move on to other tasks, such as cleaning, planting, and weeding. The other day, Elisha and I planted hundreds of lettuce starts in the low greenhouses. I snapped some photos of the process. Clockwise, from top left: The lettuces starts are removed from a large tray, each one resembling a lettuce popsicle in an ice cube tray. Then we plant each start by hand, dropping them into shallow holes in the beds. The beds are protected with plastic mulch, to maximize moisture retention in the soil below and to minimize rotting of leaves above. Depending on the weather, the lettuces will grow to their familiar head shape in a little over a month’s time. 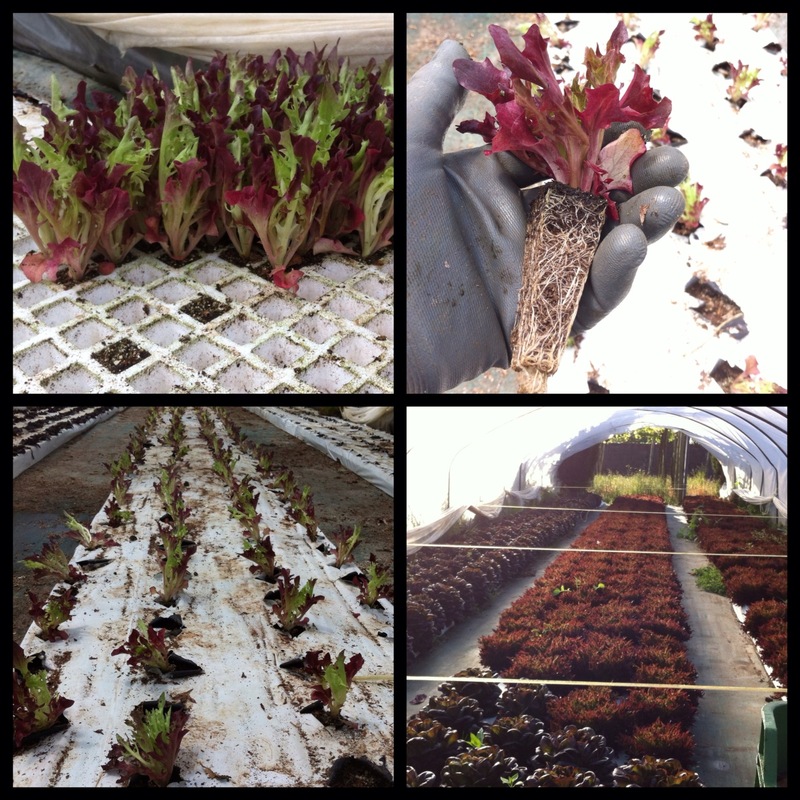 The lower right-hand shot shows a greenhouse with roble (flat red leaf) and lollo rosso lettuce that are ready to harvest. 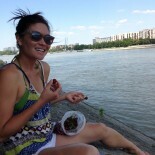 This entry was posted on June 11, 2012 by Ruthie in BasqueStage, Garden, Quick Pic and tagged Aroa, BasqueStage, Farming, Lettuce.